XT Corporate lite WordPress Theme is a clean, modern and fully responsive free business WordPress theme with a light and minimalistic styling, which is perfectly suited for corporate and business websites. 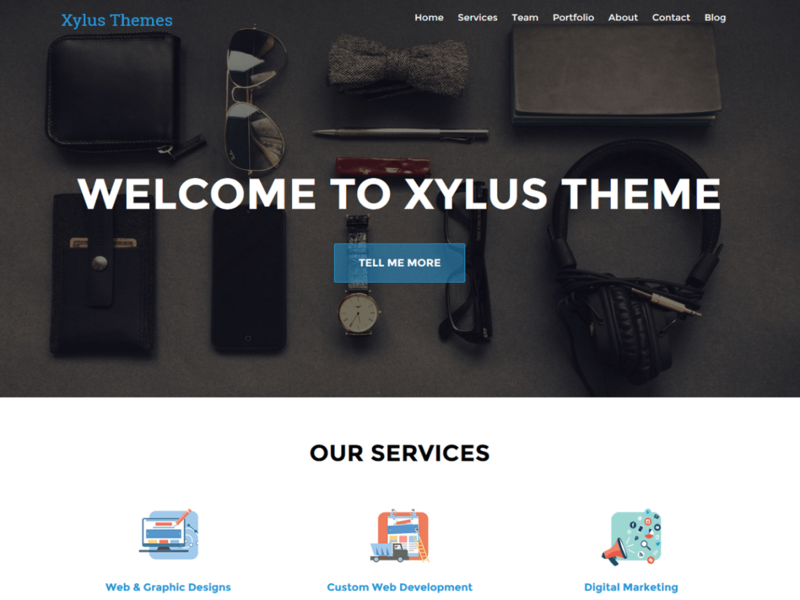 This flexible business WordPress theme is ideal to promote your services or to run a corporate blog. It is a fully responsive theme that looks great on any device. This theme is licenced under general public licence. Everyone can modify and redistribute it. Make it yours with a custom menu, header image, and background.